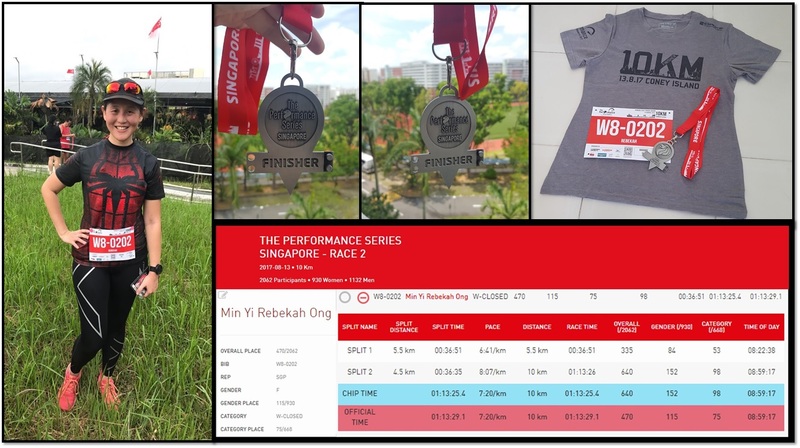 Race Review & Experience: The Performance Series 2017 – Race 2 Punggol East / Coney Island [10KM] (by Rebekah Ong) | JustRunLah! 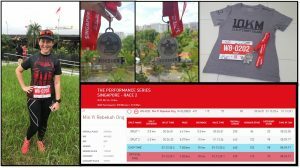 Same but different were the words that resonated when I sat down to write this review of the 2017 edition Performance Series (TPS) Race 2 which was held at Punggol East Parade Square. 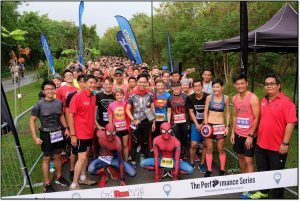 Over 4,500 participants took part in this year edition of TPS Race 2 which took place on the 13 August 2017. As I penned down my thoughts for this review, I couldn’t help but compare it to 2016 TPS Race 1 as there were lots of similarities because it was also held in the same area. One of the biggest differences was the race experience. 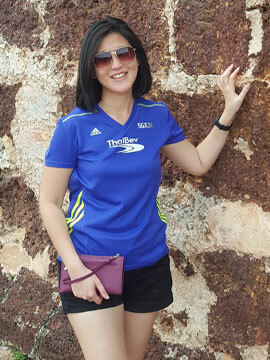 When I first joined TPS Race 1 last year, I joined as a normal participant. That meant queuing at the START pens and concentrating on your own race. 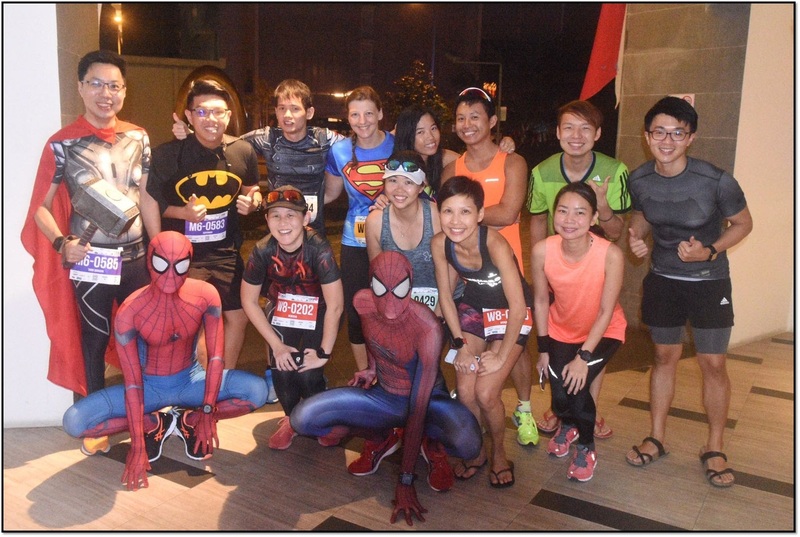 This year one of the biggest changes for me was running as part of the Superhero Runners. I have been joining their group since May 2017 and this was my first official run event with them. I wore my Spiderman top which was my “Superhero” alter ego. 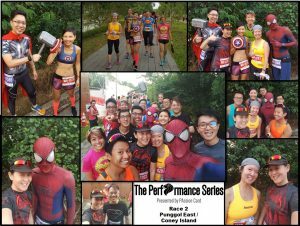 Superhero Runners are the motivational run leaders at 2017 Singapore edition of The Performance Series. The word “motivational run leaders” says it all; this meant encouraging fellow runners along the way, motivating to go the distance. Big responsibility but I thought it was a nice way of giving others the extra push when they need after all the theme of TPS is “Transcend Yourself”. So on race day, some of us had decided to meet at one of our team member’s house before heading to the race site. As it was still very early, all us were feeling really sleepy but excited at the same time about the event! 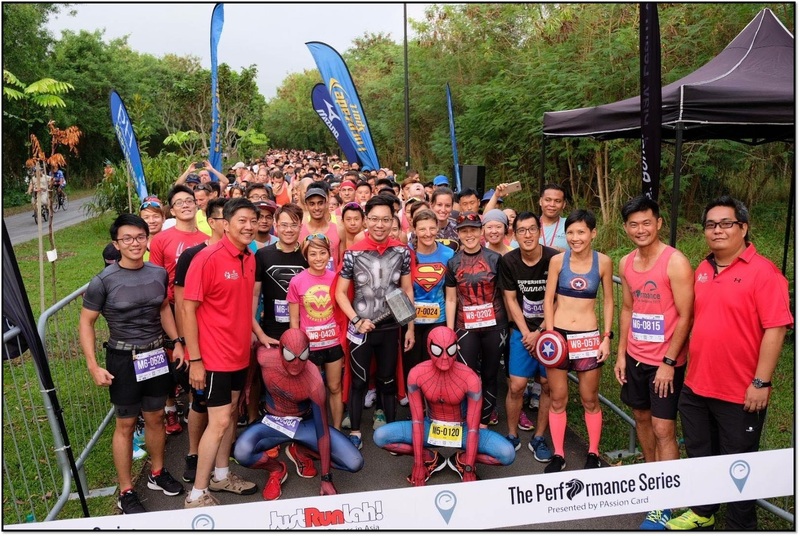 As the Superhero Runners Team made our way to the front of the START line, you could see the participants looking in our direction as we were led by 2 fully suited Spider-men! These two Spider-men literally looked like they stepped out of a movie set/ comic book! Their costumes were totally realistic! It was an interesting experience starting the race at the front. Some of the team were being interviewed by the emcee about their alter ego. To get the participants ready and excited, the emcee jokingly asked “Spider-man, where do you stay?” and the answer was Punggol and everyone started laughing! Soon it was time for flag-off; I had to remind myself not to get too excited and start too fast; otherwise, I will have an issue completing the race or even motivating people! The 10KM category was promptly flagged-off at 07:45hrs and the weather was really cooling! 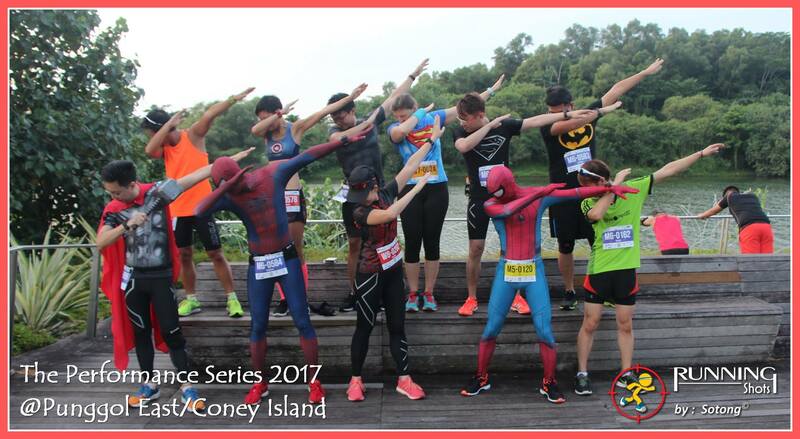 The route for 2017 TPS Race 2 led participants along the scenic stretches of Punggol East through Punggol Waterway Park and Coney Island before finishing after the iconic Lorong Halus Bridge. 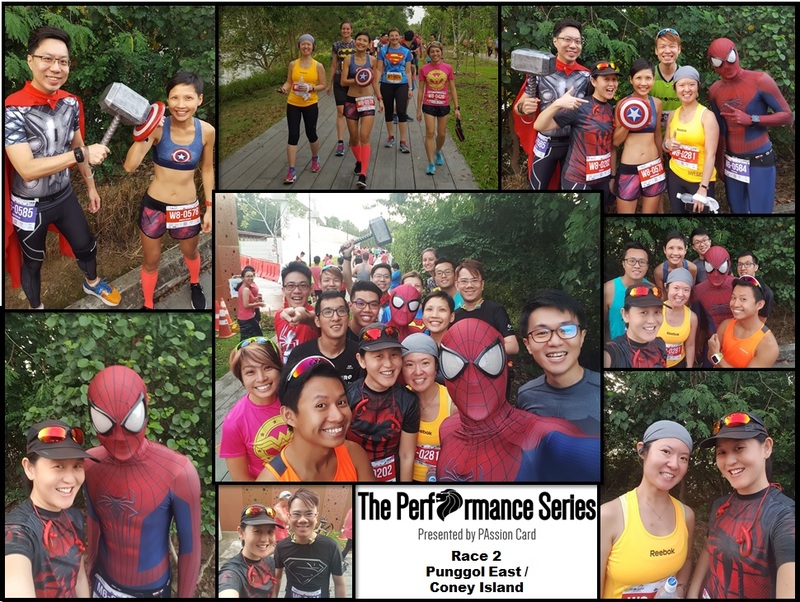 Comparing this to last year’s TPS Race 1, one of the main differences was the race venue which was at Punggol Waterway and the route covered more of the Waterway whereas for 2017 TPS Race 2 brought participants along the outer edges of Punggol where participants were treated to more beautiful sea views. I actually enjoyed this year’s route more as it’s not so narrow and congested like it was previously in 2016 TPS Race 1. Thankfully there weren’t any steep slopes along the route; they were just gentle gradients up bridges which were manageable. Water points were well spaced out and well stocked! Drinks were served chilled and the volunteers did well in mending those water point stations. What I thought was funny was both last year and this year races had an extra of 500m for the entire distance! Some of my friends joked saying we participate in 10KM but got 500m free! The area where the race village was located was better this year. For 2016 TPS Race 1, though everything was well spread out, it was on a grass covered field! If it was the wet season, walking in a muddy field would be very unpleasant! Thankfully 2017 TPS Race 2 race village location was at a parade square; it being concrete, whatever the weather, it’ll be okay. No muddy unpleasantness! Portable toilets and shelters were available. I completed the race with an official timing of 1hr 13mins and I was really happy with the timing. Not only did I finish the race but I managed to cheer some people along the way. 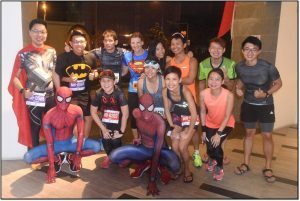 It was definitely an eye opener for me running with the Superhero Runners. The collection of the Finishers entitlements was smooth. Every participant who finished was rewarded with a medal, Finisher Tee (10KM & 21KM) and a can of Lucozade. Post-race activities for me were the usual of photo taking and catching up with friends that I haven’t seen in a while. Congrats to Lester Tan and Theresa Schweigel on your 4th position placings! You guys did awesome! 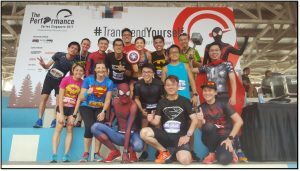 Big shout out to the Superhero Runners and the organisers, for this amazing opportunity to run as motivational leaders! Other than the race itself, the REPC site differed from the normal location which was City Square Mall. For 2017 TPS Race 2, the organisers held the REPC at a new location, One Raffles Place Shopping Mall Level 3. 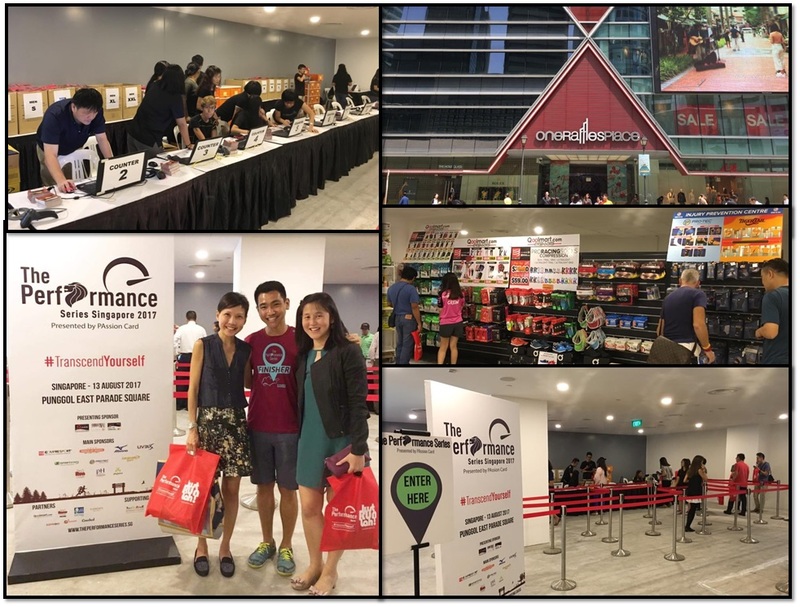 Though the REPC area was smaller than most other spaces, there were neither long queues nor delays when collecting the race pack. Collection of the race pack was fast and efficient. I really liked this location because it’s just a stone throw away from my office and I could choose to collect it during lunch time and not have to travel a distance for collection. 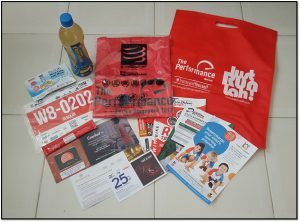 The contents of the race pack were mainly flyers but I liked that the sponsors included a 500ml bottle of Lucozade, a sports drink sample (ZERO) and a packet of Vermilion jelly. Overall, 2017 TPS Race 2 was a really fun and well-organised event! The only feedback I have is that hopefully for TPS Race 3, there would be separate shuttle buses services for both the 21KM and 10KM participants. There was only one shuttle service which was too early for the 10KM participants. Kudos to the organisers who did a fantastic job on the logistics and maintained the quality of the run event! I’m definitely looking forward to TPS Race 3! Till my next review! A look at how 2016 TPS Race 1 differed from 2017 TPS Race 2 but overall an AWESOME experience!! 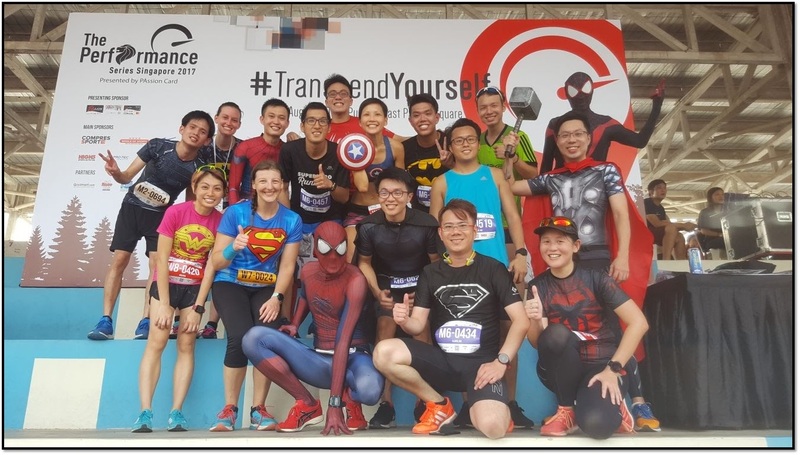 A rare experience running with the Superhero Runners as motivational leaders!